I have always drawn people. It is amazing to experience people through a hand drawing. And to be able to make other people happy with a portrait, which is a unique gift. 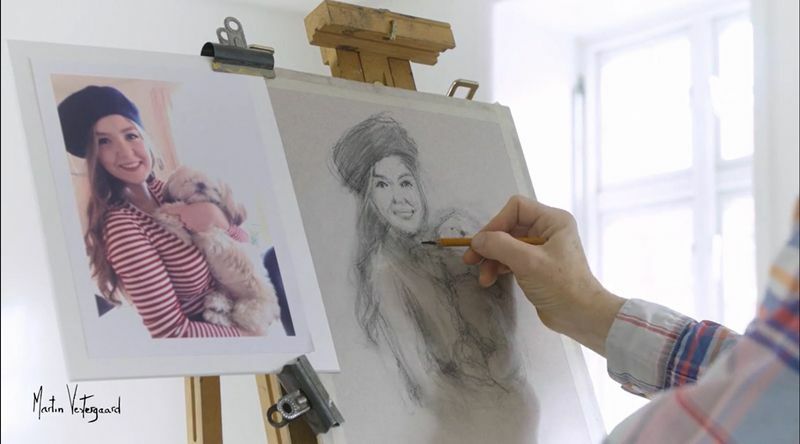 Order a hand drawn portrait made from a photo of your family and friends. It can also be of pets, either alone or with their owner, or whatever else you like it to be. I can easily combine several photos into one drawing. You can send the photo to me from a computer, smartphone, iPhone or in a traditional letter. I will mail you several sketches and ideas while I make the drawing. The finished drawing will be delivered within 3 weeks with a 30 days satisfaction guarantee from the time you receive it.